2-in-1 aluminum trolley case with multiple compartments, ideal for mobile hairdressers, make-up artists and nail technicians, or even as a tool case for electricians and engineers. 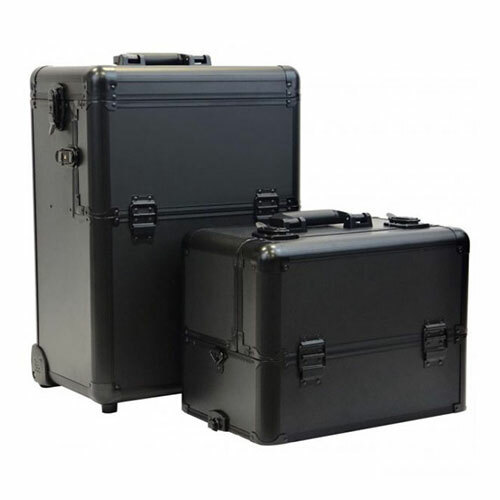 The 2 cases can be easily detached from one another and used independently. 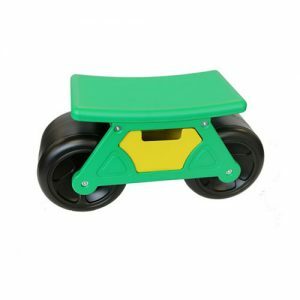 The wheels and extendable pull-handle make light work of transporting all of your equipment and at only 8.4kg, the case can easily be lifted in and out of the car boot. 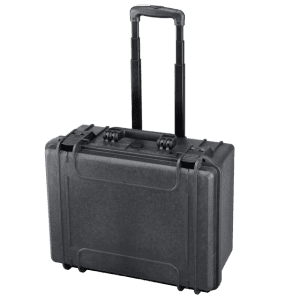 The smaller case features a pull-out cantilever system with adjustable partitions making it ideal for storing smaller items such as make-up, hair products, hand tools and fixtures and fittings. A removable shoulder strap (included) can be fitted to the smaller case. The lower case features a removable tray with adjustable partitions, and a larger open compartment for items such as hairdryers or power tools. The extendable handle and wheels are fixed to the lower case, so it can be pulled along even the smaller case is detached.